TOKYO – Despite living in a country with tough marijuana laws, Japanese consumers are nevertheless getting increasingly ‘high’ on cannabis oil. Researchers at Arthur Corporation are hoping that the buzz lasts. From its base in Aomori Prefecture in northern Japan, the company, which turns three years old in October, 2017 has developed a line of therapeutic oils and gels that it hopes will benefit from current, more liberal thinking about uses for cannabis. Cannabis enthusiasts currently celebrate a plethora of festive, annual “420” (“four-twenty”) celebrations held across the U.S. and elsewhere on April 20 to observe increasing recognition of both recreational and medicinal uses for the plant. At present, just 21 of 50 American states maintain a complete ban on cannabis production and consumption, while a growing number have decriminalized recreational use and/or recognized prescription use. Four states have completely liberalized local laws, resulting in a proliferation of farms and dispensaries to satisfy burgeoning demand. Meanwhile, the market for pot-infused products such as lotions, balms, shampoos and lubricants has exploded. “There’s nothing weird or dodgy about our products!” jests Arthur Corporation general manager Hidetaka Yamasaki. 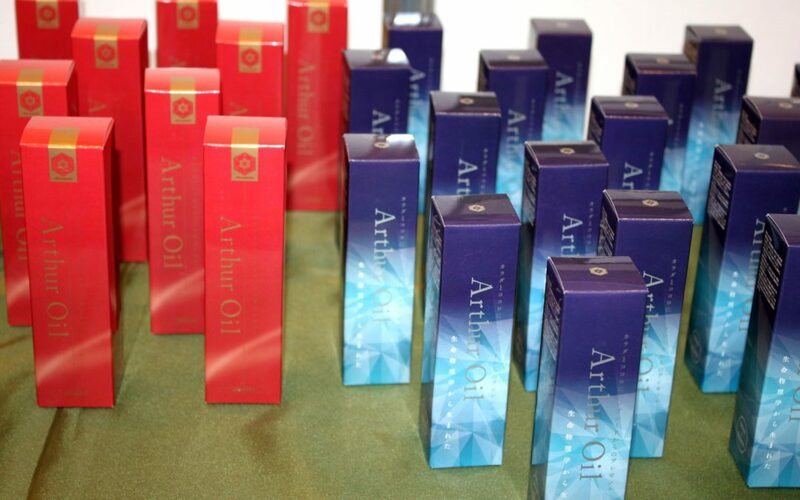 Arthur’s flagship edible oil product, which is not psychotropic, helps to stimulate and rebalance the human body’s own endocannabinoid system (ECS), a group of receptors in the brain and central and peripheral nervous systems involved in regulating appetite, pain sensation, memory, and immune system functions. The key ingredient in the oil is cannabidiol (CBD), one of over 100 active cannabinoids identified in cannabis accounting for up to 40% of the plant’s extract. CBD is thought to have wide potential medical applications. Arthur Oil retails for ¥16,000 per 50ml bottle; one drop held under the tongue for 90 seconds per day is usually enough for the average user, says Mr. Yamasaki. Recent research has shown that particularly among the elderly, ECS deterioration can be addressed with cannabis oils, including the regulation of blood sugar and blood pressure levels, he adds. On the topical side, Arthur Moisture Gel is absorbed through the skin for localized relief of pain, inflammation, as well as muscle soreness and tension. It contains silk peptides, which function as moisture-binding agents and help the skin to repair itself, while extracts of hibiscus, jojoba, hybrid rose, and argania spinosa kernel oil serve as conditioners and emollients. 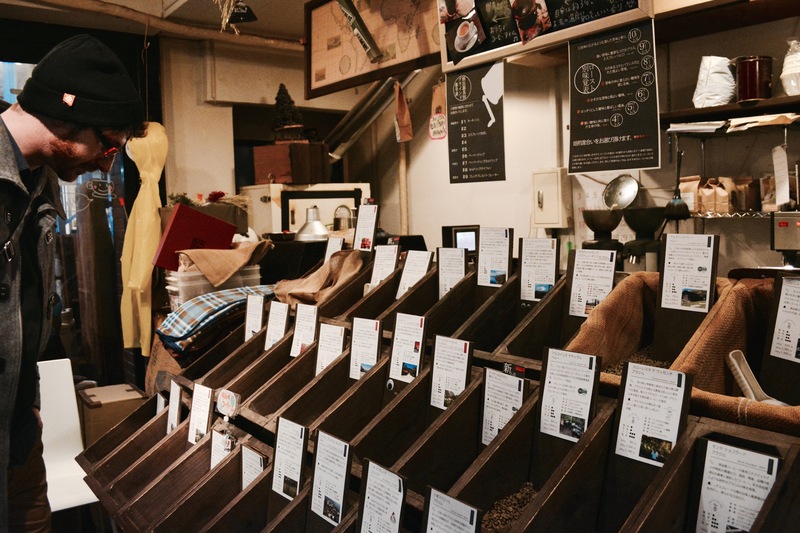 A 50g bottle, recommended for both children and adults, sells for ¥10,000. Industrial cannabis has a long, albeit uncelebrated history in Japan, particularly in the north, where it had been used in weaving, rope-making, and for ceremonial rituals until it was largely banned in 1948. Japan’s legal stance on marijuana, the more psychoactive form of cannabis with higher tetrahydrocannabinol (THC) content, has remained one of the toughest in Asia, with even small amounts of the drug warranting lengthy prison terms or deportation. Still, the market for cannabis looks set to grow rapidly. In the U.S. alone, where consumption is highest, the legal marijuana industry generated $10 billion in 2015, a number that is set to triple by 2019, according to Marijuana Business Daily, an online news site. Still, only one-third to one-fourth of that total is seen coming from sales of the plant itself; ancillary products and services fill in the balance.